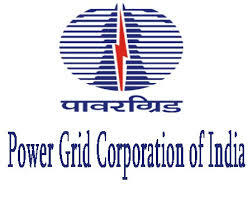 SAP Professional (10 Vacancies) – Last Date 21 March 2019 (Delhi), Power Grid Corporation of India Limited (POWERGRID) recruits SAP Professional posts. Candidates with B.E., B.Tech. experience can apply.  Should have minimum 4 years post educational qualification experience.  Out of the above, should have minimum 2 years experience in relevant module of SAP.  Out of the above 2 years experience in relevant module, minimum one year experience should be post SAP Certification in concerned SAP Specialization. Personal Interview, if so required. based on marks secured in interview only. Applicants should have sound health. No relaxation in POWERGRID Medical Norms is allowed. The Contractual personnel will be paid consolidated monthly remuneration of Rs. 1.46 Lacs. requested to go through the instructions carefully and ensure payment of fees on time. stage of the recruitment process. 3.Once applied, the applicants are advised to check the web site as well as their registered email regularly for any updates. I am Pankaj from Sri Ganganagar I have passed B.tec ECE, Please let me know if there is any job in Power Grid. I am passout in B.sc(IT) and 4 Years Experience as computer operator. Sir, mechanical se diploma complete kia h.. Kya power drid main mechanical diploma walo ki job hai.??? Diploma electrical percentage is 69.63%. can I also apply for diploma trainee. I also belong OBC (NCL). Sir I have completed Iti electrician (ncvt). Can I apply diploma trainee (electrical) job. Please sir inform me. I Have completed my B.tech with computer science branch, and also have 1 year of experience in software testing, so is there any scope for me.